Women and Girls Lead Global brings powerful documentary films to rural schools in Bangladesh to prevent girls’ dropout and child marriage. Initiated in 2013, the project has mobilized 285 secondary schools in rural Bangladesh to partner with the Best School for Girls campaign. Bangladesh seeks to reach more than a million students – 67,000 of whom are adolescent girls. A significant outcome of this campaign is the formation of Student Councils that monitor drop-out rates, and reach out to the homes and communities of school friends who might be in danger of dropping out. As a result of their actions, hundreds of child marriage attempts have been stopped, married and divorced girls have been brought back to school, complaint boxes to prevent sexual violence have been installed, and many other small but impactful steps have been taken. These powerful success stories have created a ripple effect, prompting other schools to replicate these practices and empower school teachers, parents and community members to fight for girls’ education. During a Women and Girls Lead Global retreat in April 2016, partners of WGLG – Bangladesh came together to create a tool that would employ the stories of these young girls from the campaign to empower and engage their communities. The partners decided to create a storyboard that would be constructed at each school to bring these powerful stories to the public. To this end, WGLG partners invited representatives from the Student Councils and trained them to create a powerful “Wall Magazine”. Since it’s implementation in April, over 600 students have been trained to create colorful Wall Magazines for various schools. These Wall Magazines will include stories about the steps that schools have taken to create a more girl-friendly school environment, especially in sports and extracurricular activities. 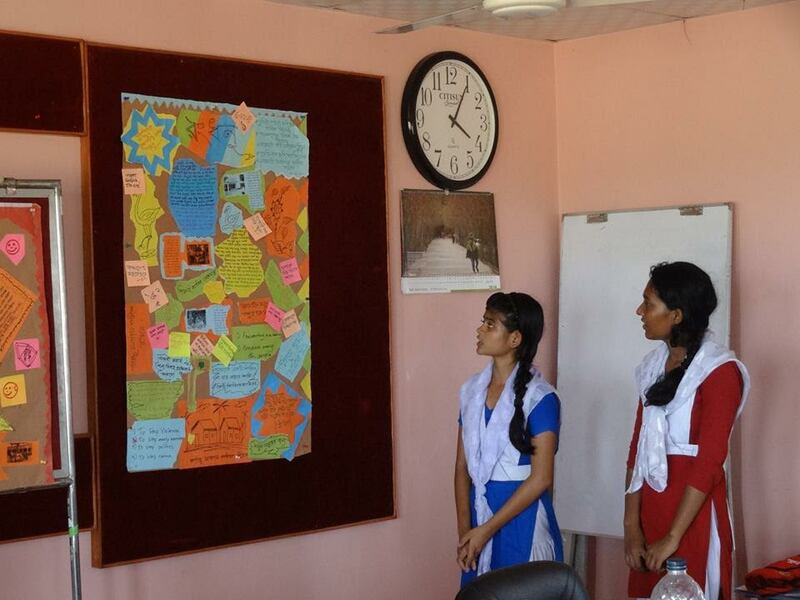 The Wall Magazine, is yet another way in which WGLG Bangladesh engages girls and empowers them to tell their stories, so that they gain the confidence to think about their own success in life. With the support of the WGLG Partners, various schools will continue to create their own Wall Magazines and award the best performing ones during the Best School for Girls Awards in December 2016.